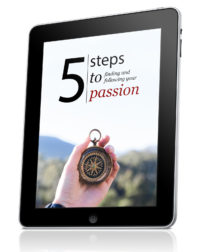 Do you want to turn your passions into an advice-based online business, but something stops you? Are you waiting for the perfect opportunity, or just a boost of courage that will get you going? If you’re waiting for anything at all, you will be waiting a long, long time. When you go after what you love, you will be scared. The more meaningful the work is for you, the more afraid you will be. You don’t want to mess up, but you’re already messing it up by not starting. Several years before I started Wake Up Cloud, I knew what I wanted to do, but I didn’t have guts to go after it. Nothing really changed during the years that passed, except that I got sick and tired of waiting, and I decided to take action despite all my fears, excuses, and worries. And that is what you will have to do if you want to create a business that frees you from the chains of 9-to-5. Are You Afraid to Share Your Real Story? I’ve received several emails where readers ask me how they can stand out with their website or blog. The answer is simple: share your story. And by sharing I mean sharing everything that is relevant to your audience. I constantly share my story of how I’ve built online businesses, how I’m improving what’s already working, how I’m getting over fears, worries, and anxieties. These stories are relevant to you. They help you move forward, but also relate to me as a human being. I don’t write about what I ate for breakfast, because it isn’t helpful. Sharing your failures, mistakes, and fears is scary, but it is what people want to hear. They want both sides of the coin. You aren’t perfect, and they know that. Give them honesty. Share what’s really going on. I’m not perfect, and I share that with you. I make mistakes, and I struggle. I don’t always know where I should go, but I do my best, I take action, and I get results. You may find websites online that cover the same topic you want to write about, but it doesn’t matter, because you have your own story to share. If you’ve read my free report, you know that just sharing your story isn’t enough if you want to build a real business, but it is a start. As long as you are honest, people will gravitate to you. If you try to hide, so will your visitors. Are You Afraid of Taking Action? Your isn’t happening because you aren’t taking action. You have to move in some direction, any direction. You don’t necessarily have to know where you are going, you just have to start. There have been plenty of times where I’ve been confused about what to do with my online businesses, but I’ve done something, and I’ve moved forward. I look at what I can do right now. I don’t try to create impossible projects. I look at what I enjoy, what I can do, and what is available to me. And yes, I’m still afraid. I don’t have all the answers, but I am willing to experiment. Creating an online business is still a fairly new venture in the world. There is no set formulas for success. But there are solid guidelines you can follow. Take one small step at a time. Avoid the trap of overwhelming yourself with huge projects. There is nothing remarkable about moving forward, yet there is. The simplest action you can take is often the most powerful. Are You Looking for a Shortcut? Let’s face it, you and I, we both want a quick-fix. It feels easier and more comfortable. There’s a reason why sales pages that promise quick profits are so successful. They target your inner desire to get something for nothing. But the truth is that there is no magic bullet. The only guarantee you have is you. When you stop looking for the “perfect system,” you reclaim responsibility. It’s not the tools that make you successful; it’s the person using them. Stop blaming your progress on something outside of you. If you do that, you give your power away. The power is and has always been within you, and the sooner you realize that, the sooner you can take action with confidence. You can blog, podcast, create videos, or even freelance. Whatever your passion is, go after it with a vengeance. Haven’t you had enough of waiting? Do you feel the impatience building up inside of you? Your passion hides in plain sight, but you aren’t willing to face it, because you don’ think you have anything to contribute, but you do, and that is your biggest fear. It is not the fear of failure, but the fear of success that most bothers us. What if you succeed beyond your wildest imaginations? What then? Stop putting up with your own excuses, and take action today. Have you been jumping from program to program? I know I did when I started out. I jumped on one course, excited, and ready to go. When my motivation waned, I looked for something else, and the cycle continued until I realized what was going on. I now use my awareness to assess whether or not I need the course, and if I have time for it. When I have a goal, I know where I am going. I may be confused about how to get there, but I know when I see something that I don’t need. More often than not, you don’t need to buy another course. I know that’s funny coming from me, someone who sells courses and training, but I’m being honest. A good course can make all the difference in the world, but not if you’re buying it for the wrong reasons. Decide what you want, go after it, and avoid distractions. Your passion isn’t happening because you’re standing in your own way. It’s right there in front of you, but you refuse to grab it. You can find and follow your passion if you want to. Everyone has different life circumstances, and we all have to deal with them in our own way. There are no excuses, only actions. Where are your actions taking you? The power lies in your hands. I find a lot of my experiences with building a business online very similar to yours Henri. I too jumped from one course to the next hoping to finally get magically warped into success, but it never happened. It was only when I started to focus on ONE thing is when I started to get some results. From there it’s all about scaling it up and taking it to the next level, it’s fun! Thanks for writing this post specifically for me. Hopefully, some of your other readers will get something out of it, too. Right on point, as usual. Good job! Thank you for this post today. At 64 I was considering throwing in the towel at trying to reach the professional level with my art, partly because of a post by an artist who started much younger and said those of us who start later in life will never reach the level he has. Maybe not, but I have to keep trying. I have to keep painting in hopes that somewhere out there is someone who will be touched by what I paint. God bless you for your honesty and courage to keep on keepin on when it seemed impossible. You are a light to many of us. Thanks Henri, excellent post. I can relate to jumping from product to product or from book to book. We always think the next one is the one that will make the difference, but as you pointed out, the difference we need is already inside of us. We must decide if we are willing to be content living an average life with an average job, or if our lives will make a statement as we pursue our passion. Years tick by faster and faster the older you get, so the time to act is now. There will never be a better time, only more wasted time. It IS scary. It IS tough. It IS frightening and most certainly exciting to think about ALL the possibilities of what could happen if you follow your passion. I go through the very same thoughts myself, every day. The question you gotta ask yourself is simply: Do I want to lead a life of ‘wish-I-had’s’ instead of doing and experiencing the good AND the bad? It’s difficult at times but each step is DO-able and each step is one more step in the right direction as you learn and progress. I would never trade that for the world. Thanks, Henri, really!, for always being honest, helpful, caring, funny, sensible, straightforward when we need to hear it and for just being there continuing to inspire and help people discover what life should truly be about. I have a blog where I am very honest about my story which is why my friends and family don’t know about it. I’m afraid if they knew about my blog and read it, they would get offended and I would have to start censoring my posts which is something I don’t want to do. My blog, right now, is my only outlet to talk about my feelings, whether anyone reads it or not, it makes me feel better. That’s what my blog used to be for. You can read the early pages to see what I mean. I was going through terrible heartbreak and used the blog as a way to escape and get my feelings out. Just thought I’d let you know you’re not alone there. This post is just like our conversation a few months ago. I wanted to start a blog, but had suffered terribly from information overload. Everywhere I looked I was able to find advice about how to blog, finding a niche, how to monetize your blog, etc, etc, etc. It was overwhelming to say the least. During our coaching call, your questions prompted me to respond with the answers I came to you for, but already knew. I don’t know why it was so helpful having you pull the information out of my own mind but it somehow validated my fears to hear that they weren’t mine and mine alone. It also helped by pointing out to me how ridiculous I was being by allowing those fears to keep me from even getting started. I did want to be the best, I wanted my blog to go viral from the get-go. I think that I believed if anything other than that happened, I would instantly be a failure. I was so very wrong and am now glad that I gave up on such unrealistic expectations. I now have my blog and am moving forward with it. I’m really just still ‘getting in the groove’ of regular posting and deciding on what to post about. The point is that in posting about whatever suits me at the moment, I am learning where my true passions lie and where I need to put my focus in order to be successful. Now, I know that can do it, because I’ve already begun. I remember that call. It was fun, and you had some great insights. It’s amazing how one small change can snowball into something much bigger (and more fulfilling). Great points. I think the best advice is not to be paralyzed by overwhelm though. When we give ourselves too much to do in a short time it can end up stopping us in our tracks. Better to move slowly and make steady progress then try to be superfast. thank you so much for this excellent post! Today I had a quite difficult day and it´s good to stop and determine my immediate position so I can reset my direction. It´s true: fear is the biggest enemy of any entrepreneur. Fear is a dream-stealer. So “act in spite of fear” is a good advice, but it´s better to let go of fear, let go of any limiting emotions, any limiting believes. Is it difficult? No, it´s not. But we get so used to fear, we get so used to negative thoughts that we just don´t want to let go. There are many simple, very easy to learn tools to release all negativity… then, without fear, we act, we conquer the world. Great post! I think one of the main things that holds people back from success is not understanding themselves — their strengths, weaknesses, and what they really want. Great post, amazing content! Im struggling in take action, but day by day Im fixing it. One little action for me starts the flow, and now Im better than ever to do things. Im taking action and recently decided to give myself a break from trying to do it all. As Angela A wrote about too much too soon, I’ve stopped being overwhelmed by information and advice and just doing as I do. Write the way I write, speak the truth as I know it and focus on less items rather than more eg: monetizing, driving readership up. Stop trying to be like others who are really just being themselves. In addition to what Kaley wrote…ACCEPT your stuff and work with it. That in itself makes you different from others. Tip; Keep it simple and keep focused on the basics as Henri has suggested. Don’t try too much too soon. Thank Henri for the reminders. I think everyone goes through these phases at one time or another in their business. The one thing I’ve realized is you won’t take action until the pain of doing nothing is stronger than the fear of what might happen if you actually do something. Henry I can tell you know what you are talking about, because when I finished reading this article I had the feeling I had come across something very special. I like your style, not necessarily flowing, but every sentence is true and profound. For the record Henry, I will take great pleasure in adding your wake up cloud to my blogroll, I’ve found a gem! I am going after my dreams, believe me when I say this, as I don’t say this lightly. I am extremely passionate – driven to a fault. I am persistent, hardworking and a believer of lifelong learning. And I have been happy with my life for the most part. The only exception being, I have been met with some challenges that took me almost 8 years to sort through. They sent me off course. Sometimes , you just have to wait for your time, and keep working, hoping, praying. Only one thing left for me now, to share my story. Its very personal, so I don’t tell people, but I am always thinking about it. Maybe its time to think less, and do more. Thank you for this post, Henri! I am starting up a freelance career and it’s very slow going right now. I had fallen prey to the fervor of the e-book I read and believed I’d be getting clients from day one. I almost gave up, but then I was encouraged by a good friend (and by this post!) that there is no magic bullet. The thing to do is to keep doing – one day at a time. I’m excited to see where I will be – not in one week, maybe, but in a year! 🙂 Thanks for the encouragement!